The rooftop bar VERTIGO invites you to enjoy great cocktails, intimate atmosphere and probably the most beautiful sunsets in Riga on the 6th floor of the cinema. The original cocktails devoted to various movies (The Fast and the Furious, The Beach, The Mexican), refreshing alcoholic or non-alcoholic drinks and Illy coffee can be enjoyed both on weekdays and weekends. VERTIGO additionally offers complementing snacks for any drink – olives, crispy vegetable chips, appetizing cheese cakes and, of course, an integral part of the cinema – popcorn of different special flavors. There is a separate entrance for VERTIGO bar visitors to the Scape – the latest-generation most modern cinema in the Baltics. It is an opportunity to enjoy not only cocktails that are offered in the bar, but also the selected movies, concerts or live sporting events. VERTIGO offers its customers a special program for every weekend – the best Riga DJ sets, live music concerts or themed parties. 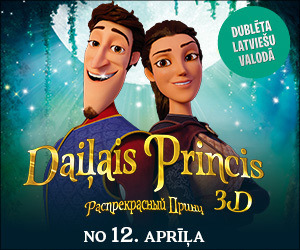 The special discounts and offers are available for the Forum Cinemas visitors and Cinema Club members. Rooftop bar VERTIGO invites not only the cinema visitors and enthusiasts, but also the lovers of modern interior, smooth talks and beverages of high quality. VERTIGO is a great place to come with the friends or family or for a business meeting. Panoramic view over the city is unforgettable. The bar space is also ideal for the private events.